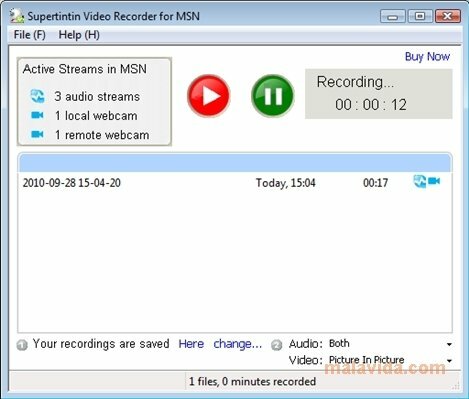 MSN/Live Messenger Webcam Recorder allows you to record any streaming source through Live Messenger. 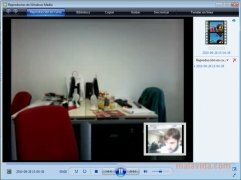 Nowadays many laptops have an integrated webcam, and many people have bought a webcam for their desktop computers, and due to this, conversations with video using the well known application developed by Microsoft is rather usual. Thanks to this software, we will be able to record these meetings. Quite a lot of users speak via Live Messenger, and a smaller percentage of them turn on the video and the audio so as to feel nearer to the person they are speaking to. If you want to record the webcam feed of Live Messenger you can use an application like MSN/Live Messenger Webcam Recorder that allows you to choose the quality, the final result and that it automatically detects the video streams to create the video mount. MSN/Live Messenger Webcam Recorder allows you to configure if you want to see a small window with what happens on our camera on top of the received video, as well as choosing as if we also want to record the audio and choose the quality of the video (with the possibility to choose between several resolutions). 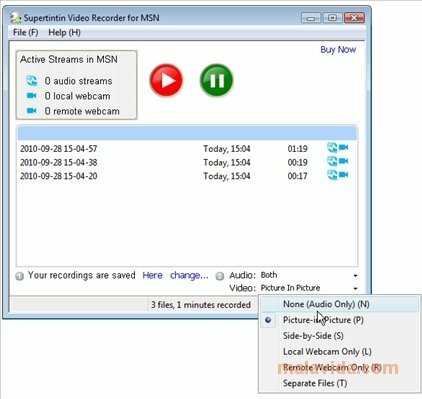 Using MSN/Live Messenger Webcam Recorder is very simple, because it will automatically detect any webcam signal that we broadcast or receive through the messenger application so as to record them whenever we indicate. Furthermore, from the application we will have direct access to the folder in which the videos are stored, with the possibility to view them with our favorite player.